Designer Magazine has a pair of tickets to see the Cure play Manchester for their first show in the city since 1996. Robert Smith has become an icon for generations of bedsit misfits in as much a way as fellow Move artist Morrissey and with the likes of Elbow, Keane and Longview joining the Cure on the Friday night of Move it looks set to be a storming show for sensitive wallflowers. 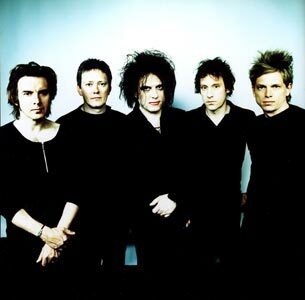 The Cure's new album is produced by metal producer Ross Robinson and the live show will mix the new songs with the old classics such as "Love Cats". In order to win answer the following 3 questions which shouldn't pose much of a problem. 2. What Cure song did Jamie Cullum and Katie Melua cover at the Brit Awards 2004? What do you think of this years line up?